Betrothal was more than engagement: a betrothed couple was considered married [so much for Mary being pregnant and unwed] and were spoken of as husband and wife, even though the bride continued to live in her father’s house and the couple refrained from sexual relations. A year or so after betrothal the husband would bring his wife to live in his house, and they would begin to have sexual relations. So, what were Joseph’s expectations? Pope Benedict works through several scenarios regarding Mary’s response above, but finds no definitive or even satisfactory answer. Since Saint Augustine, one explanation has been put forward is that Mary had taken a vow of virginity and had entered into the betrothal simply in order to have a protector for her virginity. But this theory is quite foreign to the world of the Judaism of Jesus’ time, and in that context it seems inconceivable. So how are we to understand this passage? A satisfying answer has yet to be found by modern exegesis. Some say that at this point, having not yet been taken into the marital home, Mary had had no dealings with men, yet she saw the task as immediately pressing. But this fails to convince, as the time when she would be taken into the marital home could not have been far off. 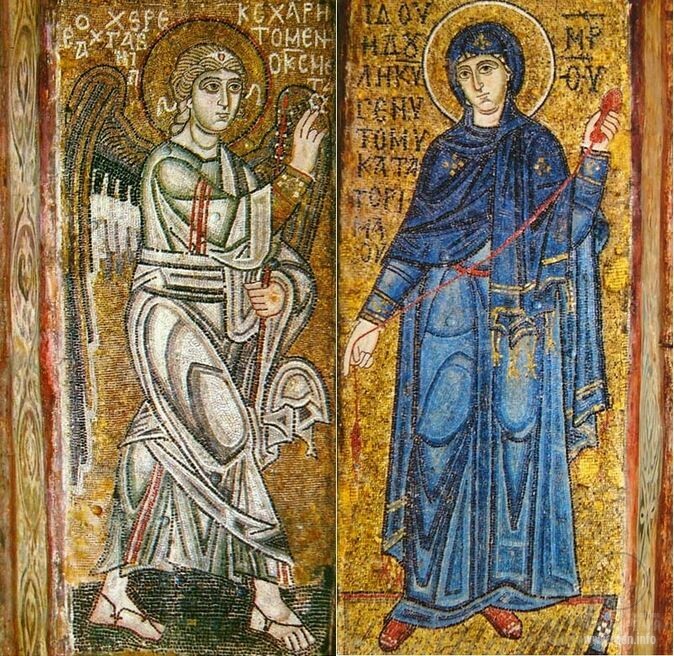 Other exegetes have wanted to view the saying as a purely literary construction, designed to continue the dialogue between Mary and the angel. Yet this is no real explanation of the saying either. Another element to keep in mind is that according to Jewish custom, betrothal was unilaterally pronounced by the man, and the woman was not invited to express her consent. Yet this does not solve the problem either. Maybe we will only come to know the answer in heaven. Meanwhile, thank heaven Mary responded in the affirmative to the Father’s design for our redemption, the Word becoming flesh.